BRYAN EATON/Staff Photo. 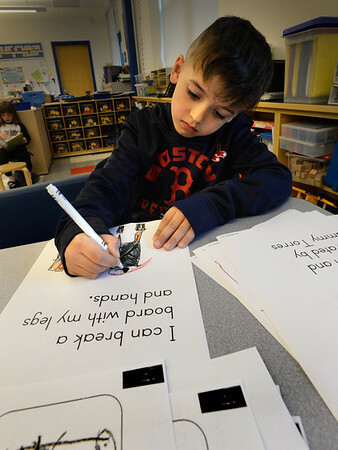 Students in Linda Gershuny's class at the Bresnahan School illustrated a story book they've been working on all year on Tuesday. Samual Torres, 6, colors in his book on kickboxing and karate.